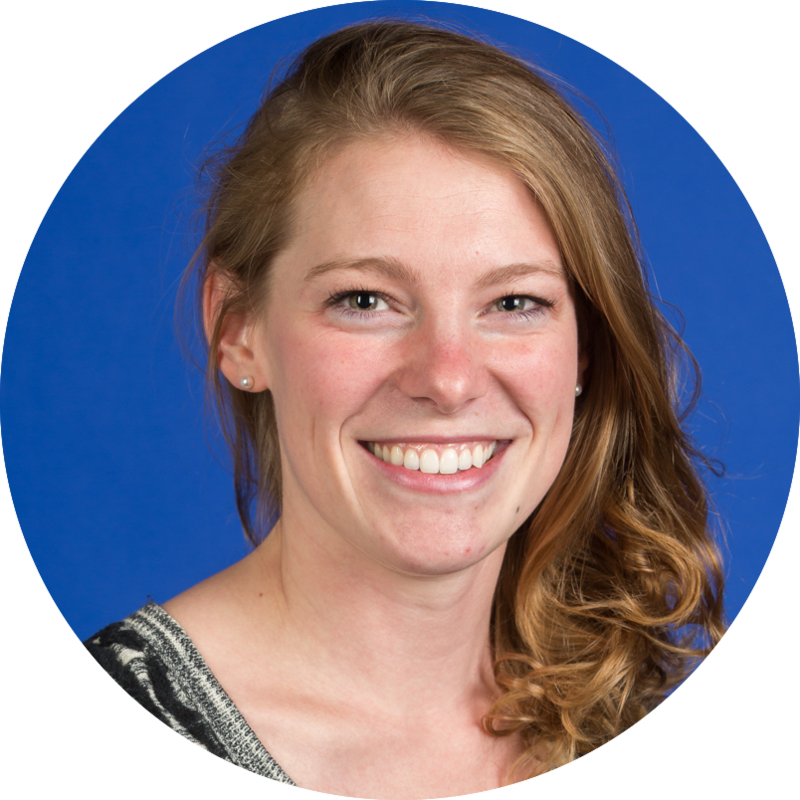 Over a year ago, we posted a blog instructing how to export Google Calendar entries to a Google Spreadsheet. As it turns out, this was a function that a lot of people researched and used. There were a couple scenarios, though, where users needed a little something more. 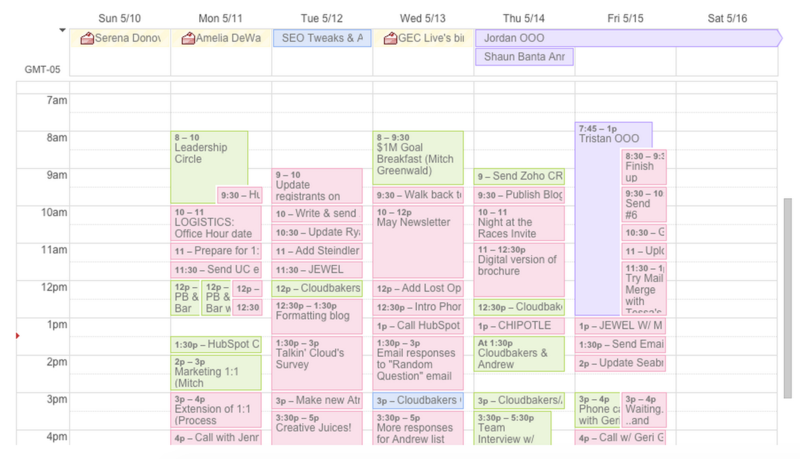 What if you're trying to capture more than just the content in your main calendar? If you've ever asked this question, this post is for you! As you can see from the previous post (you might need to read this first to get up to speed), the script requires you to add an email address on line 23. The question is: Where do we find that email address when we’re trying to export a shared calendar? To find the "email address" for a shared calendar, we need to step back in to Google Calendar. Please follow with the screenshots and steps below. My work calendar is below. 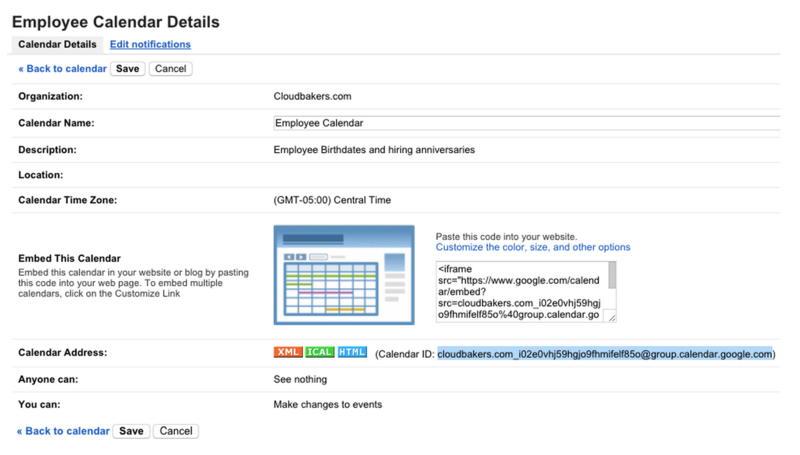 The purple events are from a calendar shared among the entire Cloudbakers team. We use this to let everyone know when we’re taking time off or working from home. On that page you will see the "calendar ID" under "Calendar Address." Highlight that email and copy/paste into the script on line 23. 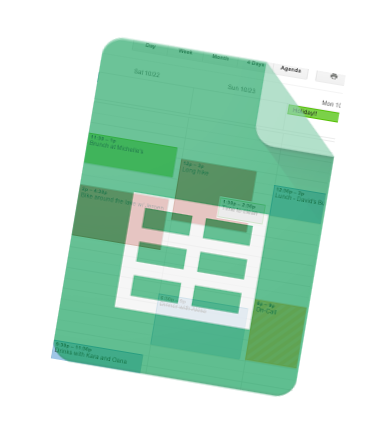 Save and run the script again and you should see the shared calendar event populate in your copied Google Spreadsheet. This script is a simple one, and yet there are so many possibilities that scripts can bring to your Google Apps experience. Check out some of our favorite case studies here. 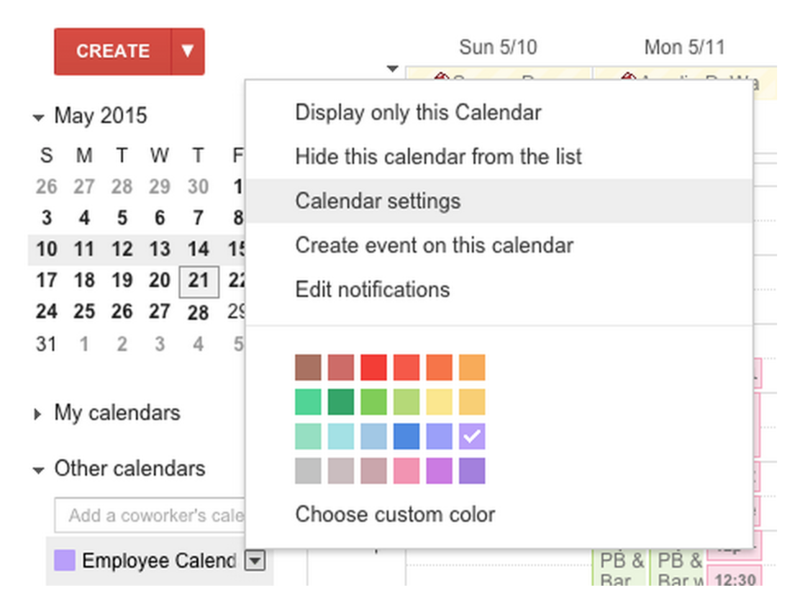 Google Calendar Just Got Better!